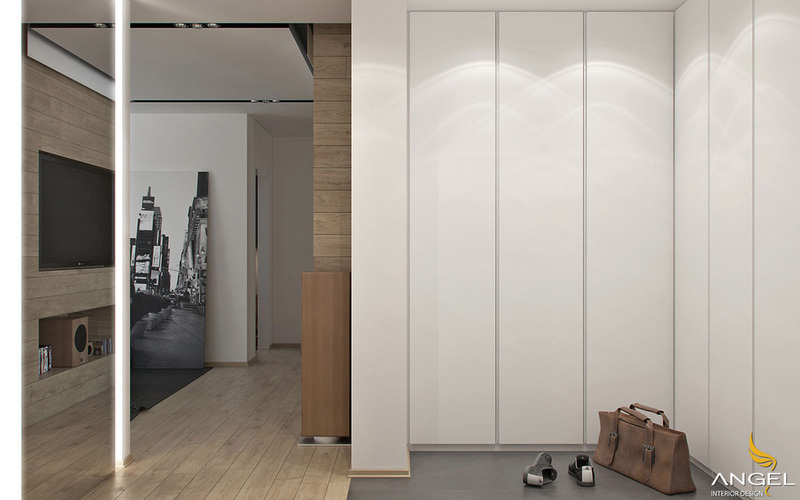 Customers like the minimalistic style is also known as the simple interior design style. But they want something warmer and more comfortable than the compact interior usually offers. 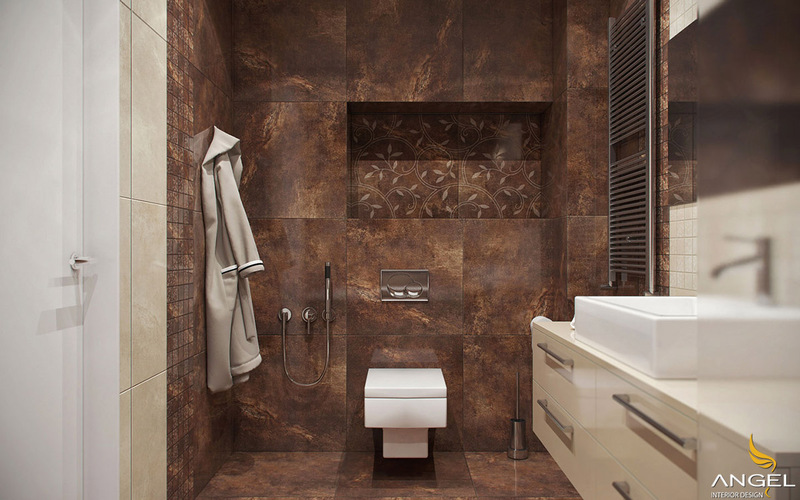 In order to achieve this, designers have opted for the richness of natural wood tones and the dramatic gray tones. 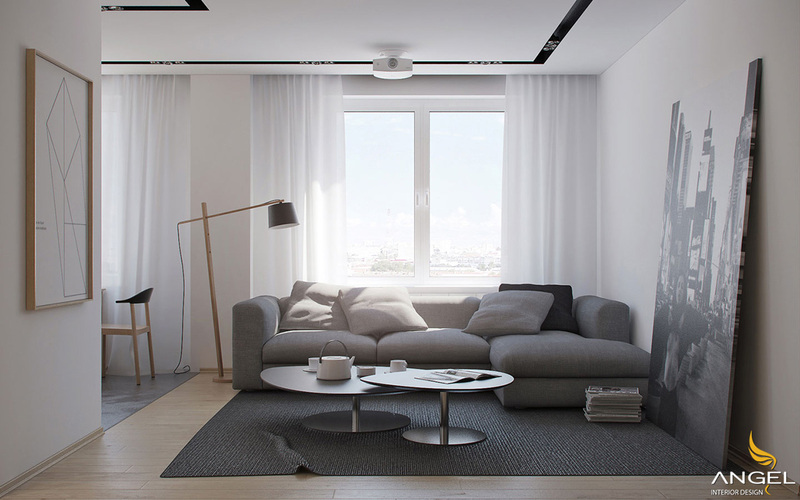 The black and white surfaces of the living room light up one side of the room The horizontal panels make up the wall as a style for the apartment. Wood materials continue to "eat" into the kitchen with a more smooth appearance outside the living room. Wooden flooring is very neat and useful because the top can slide forward. Or it can be lowered or raised due to the three holes that are chiseled in the body. 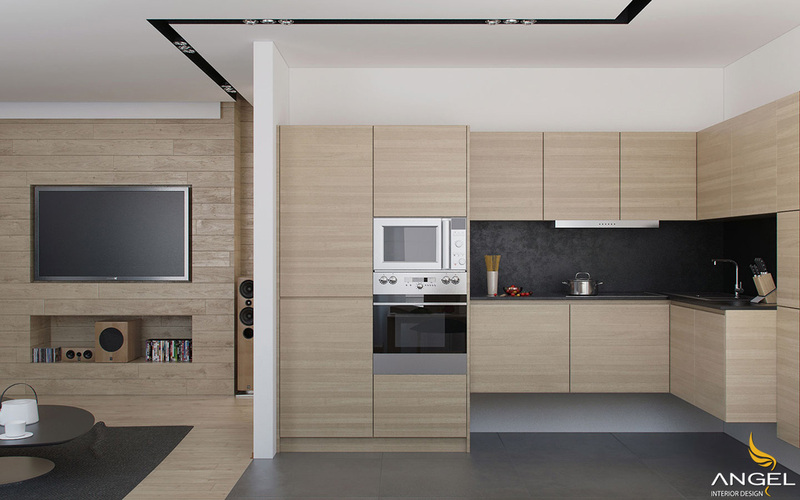 An entry-level design with multiple cabinets increases the storage space for household appliances. 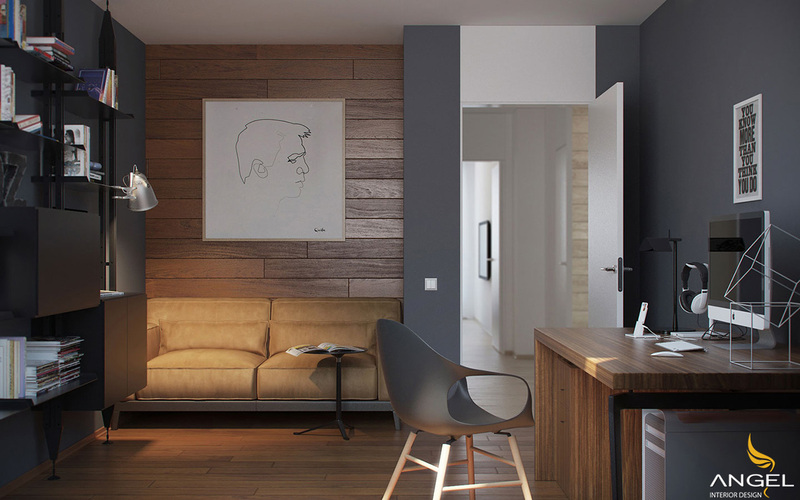 The office is sleek and dark in color with smart layout. 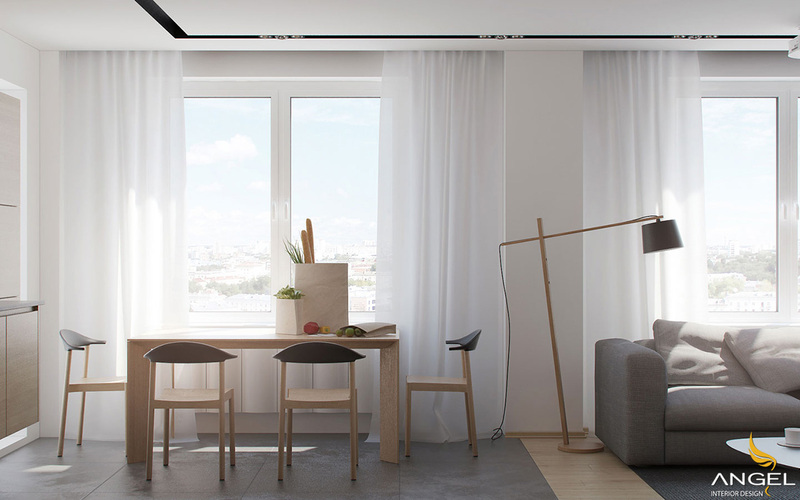 You'll find a desk with a wooden table and modern decor. 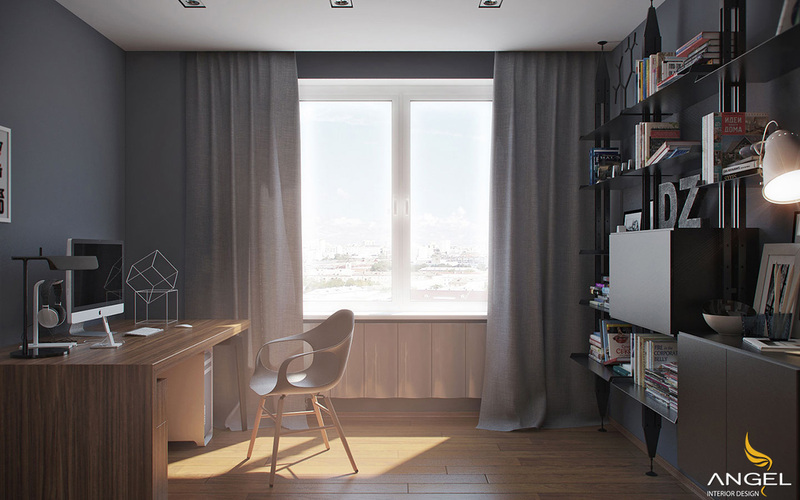 Behind the chair is a bookcase with unique and unique look but very useful but extremely useful. A small motif poster and a geometric wire sculpture are the only decorations that can be seen in the chair. With a seating space to accommodate visitors, the owner of this office can easily host in-house meetings. What a lovely little bedroom! When television is off, there is not much distraction for your peaceful sleep. 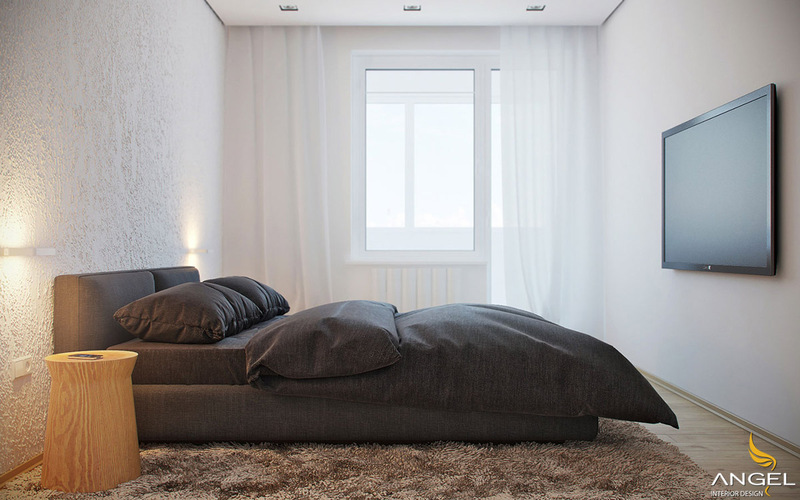 Low light creates impressive impression in the bedroom. Modern bedroom just really just a technology - phone. 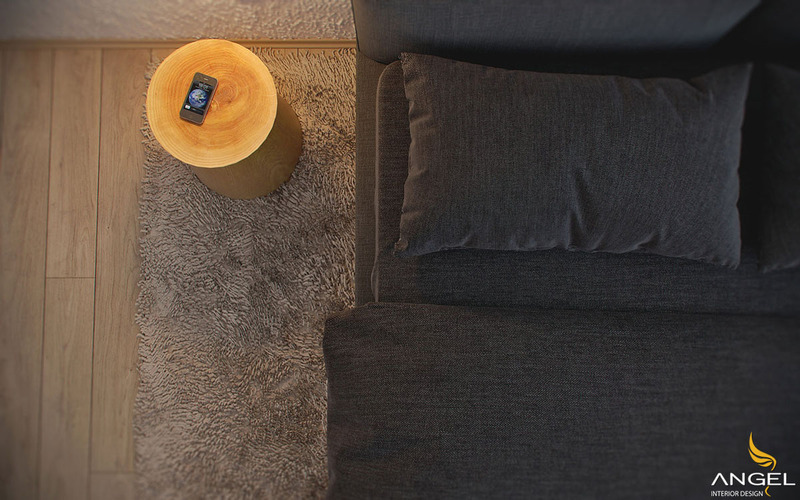 They replace the phone for the alarm clock and can even replace the TV if you want. 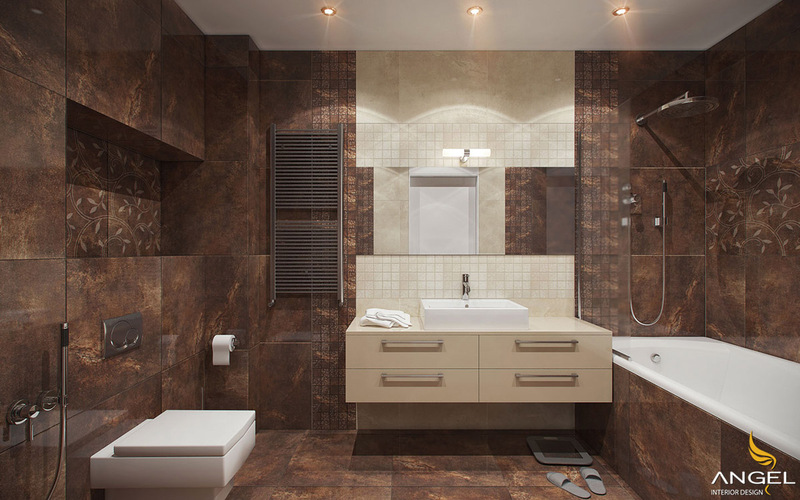 Brown stone tiles with different sizes and levels of decor give the bathroom a different style than anywhere else in the house. 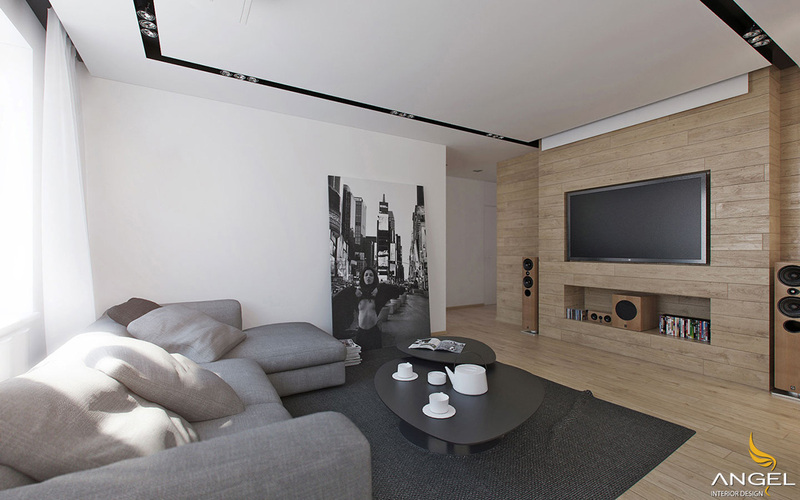 The design possesses the warmth, elegance and interior design of the living room.